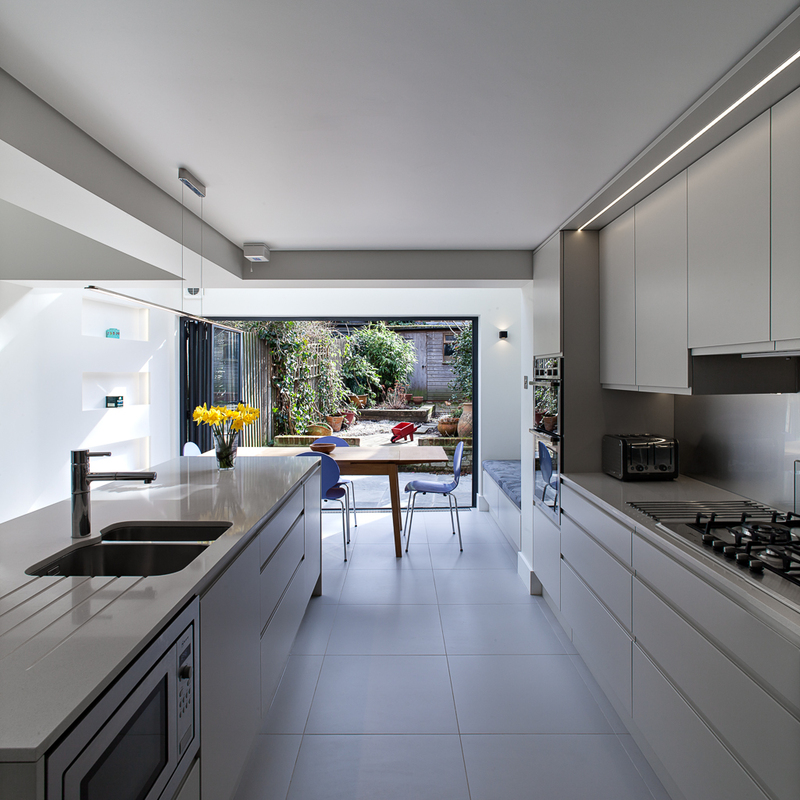 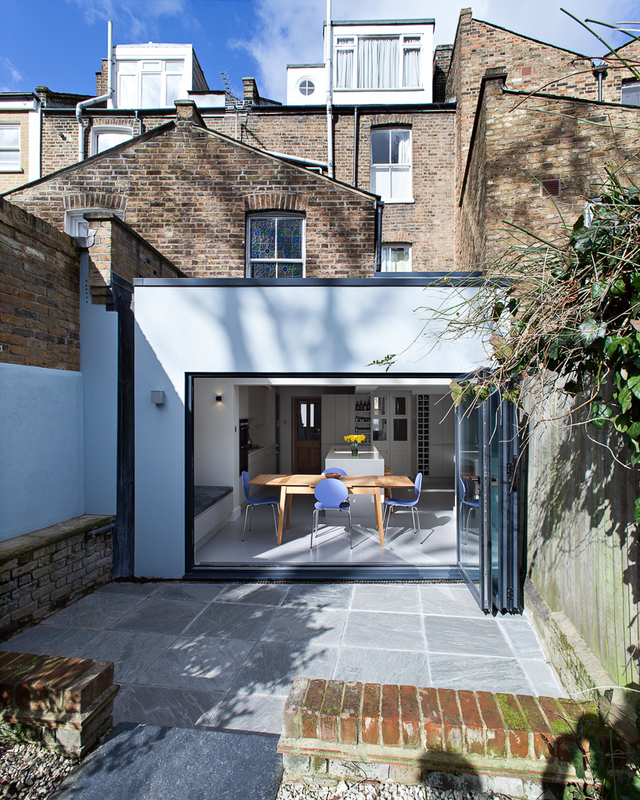 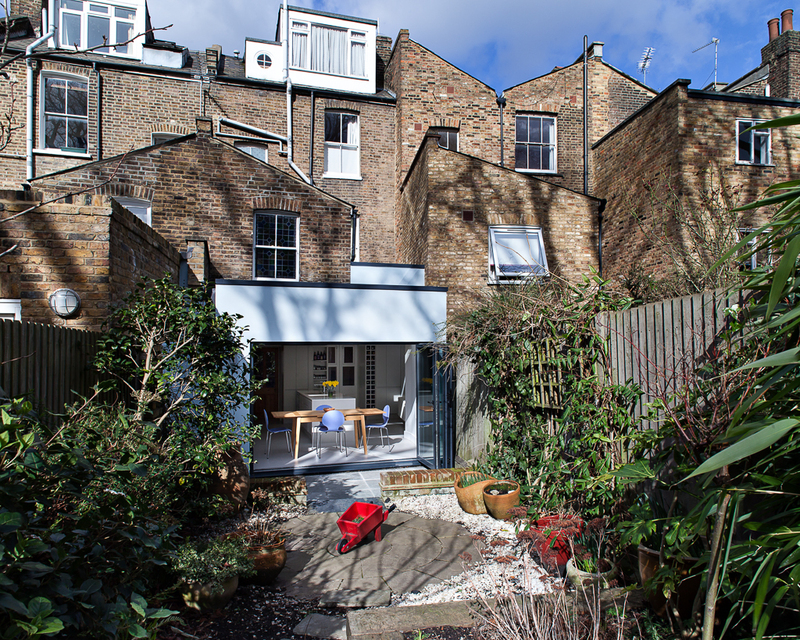 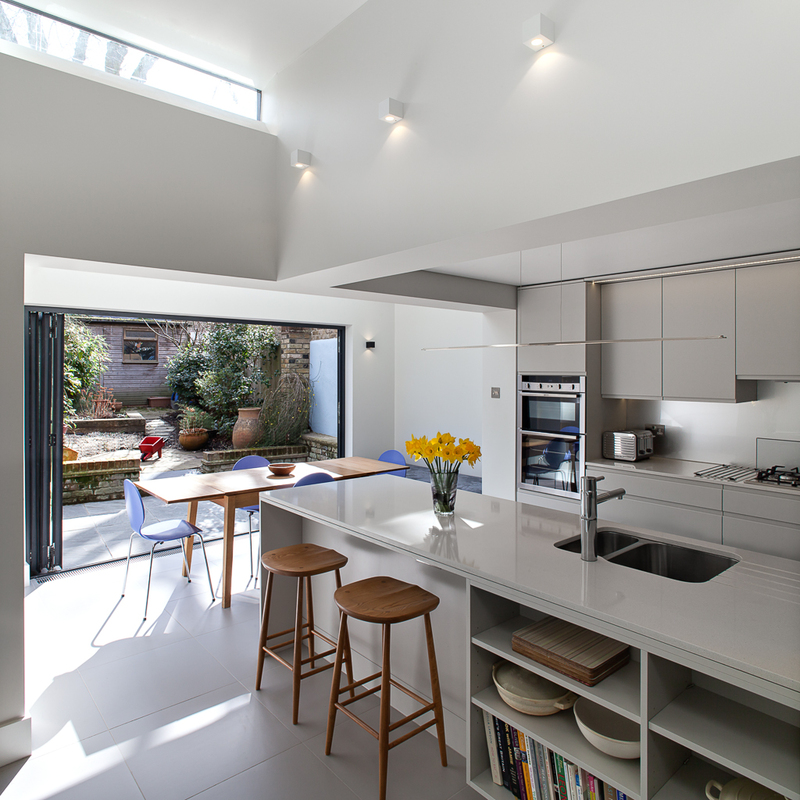 An extension to a north London town house replacing two previous extensions. 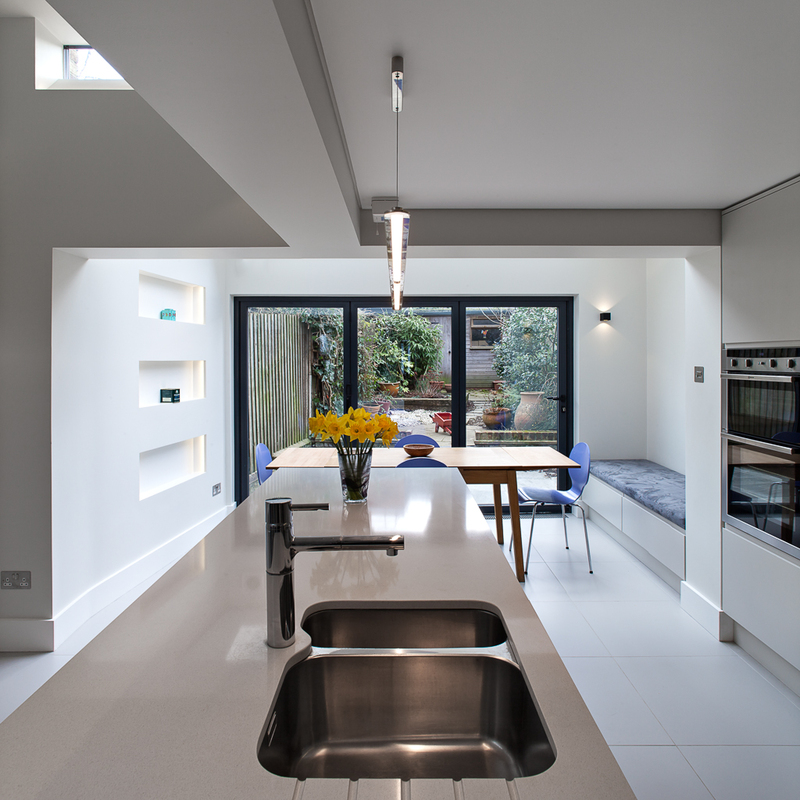 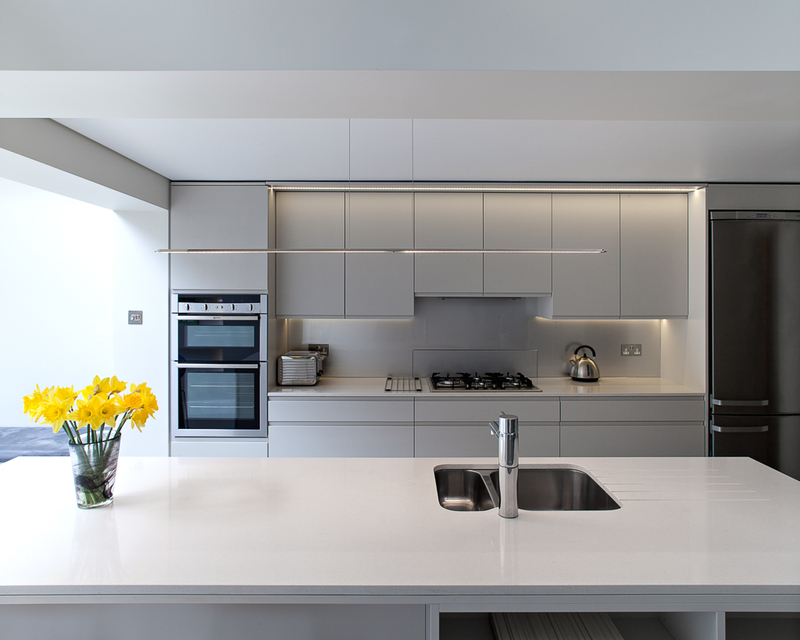 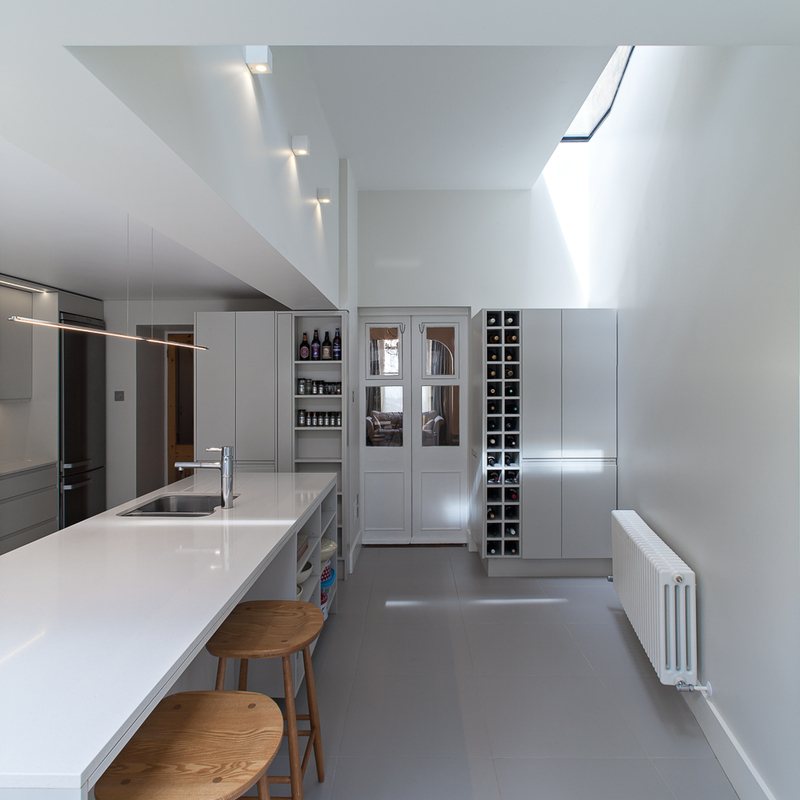 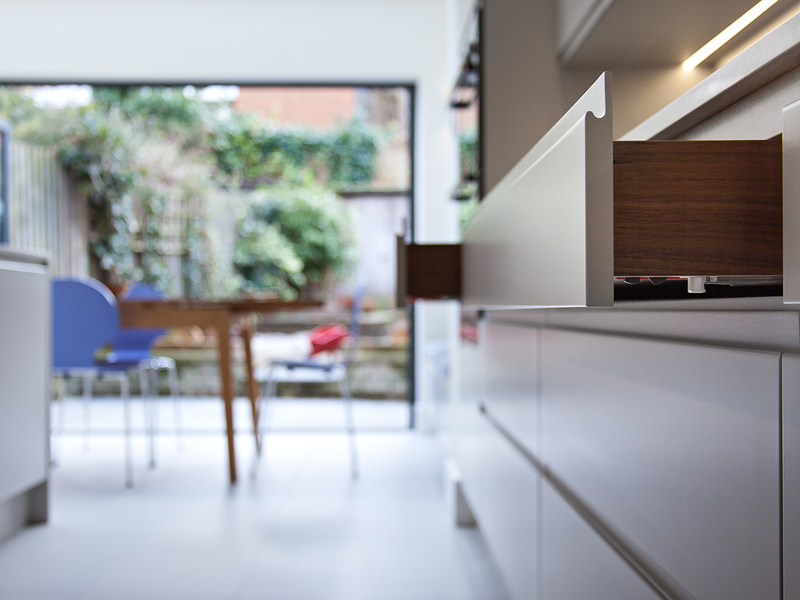 The intention of the scheme was to rationalise the relationship between the kitchen and family dining areas. 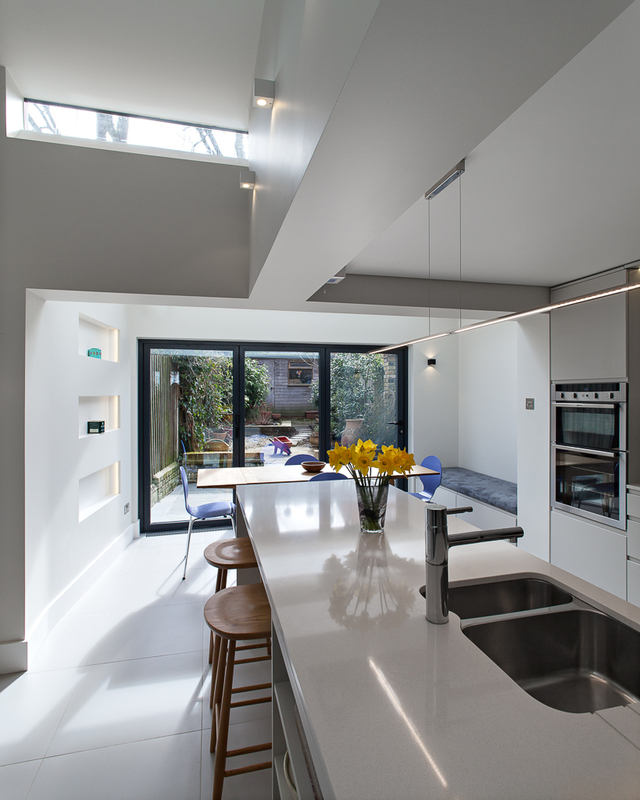 The kitchen had been extended by previous owners but was poorly planned and lacked natural light. 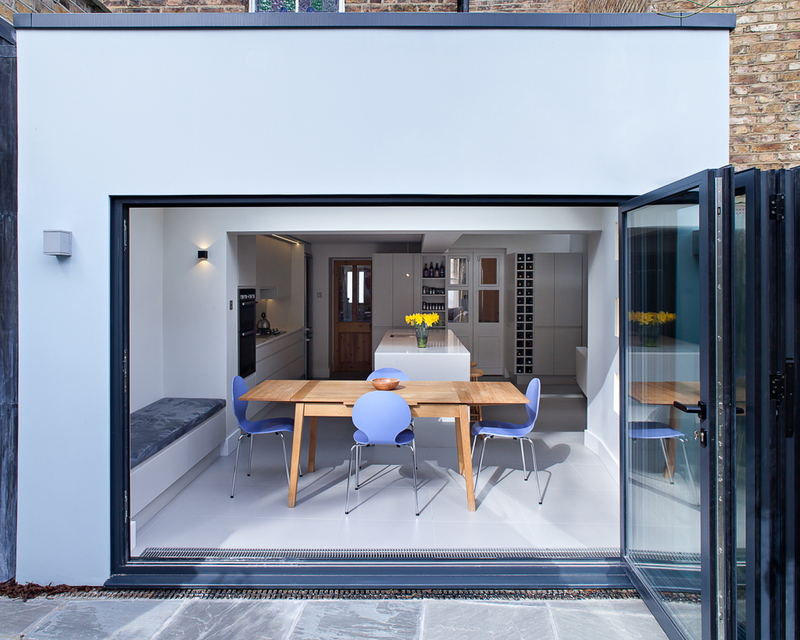 A further side extension had created a family dining area but had compromised access to the rear garden. 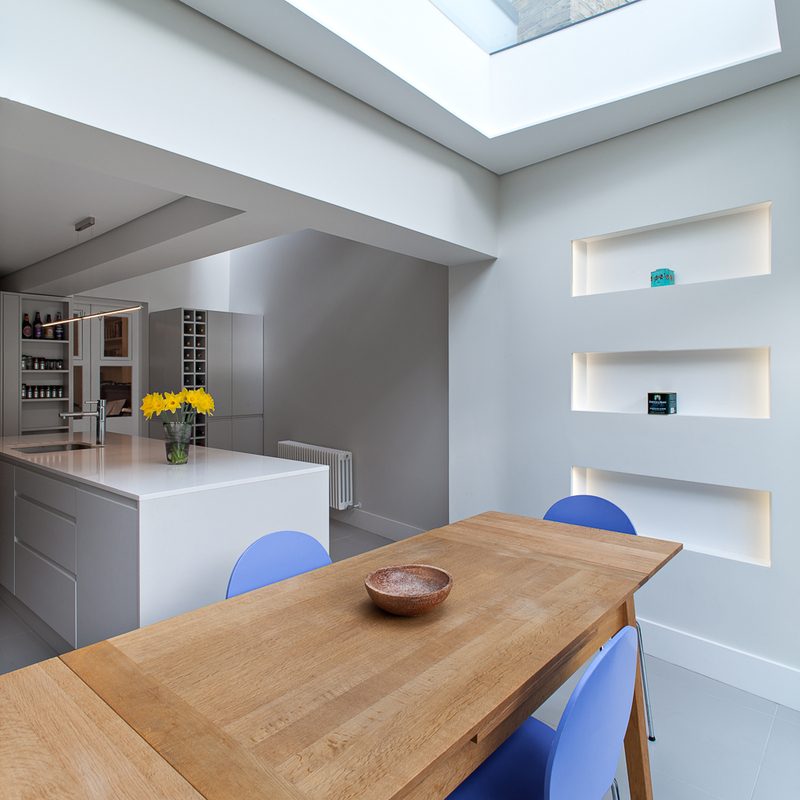 Our scheme unified the two spaces by opening up a significant portion of the original structural walls. 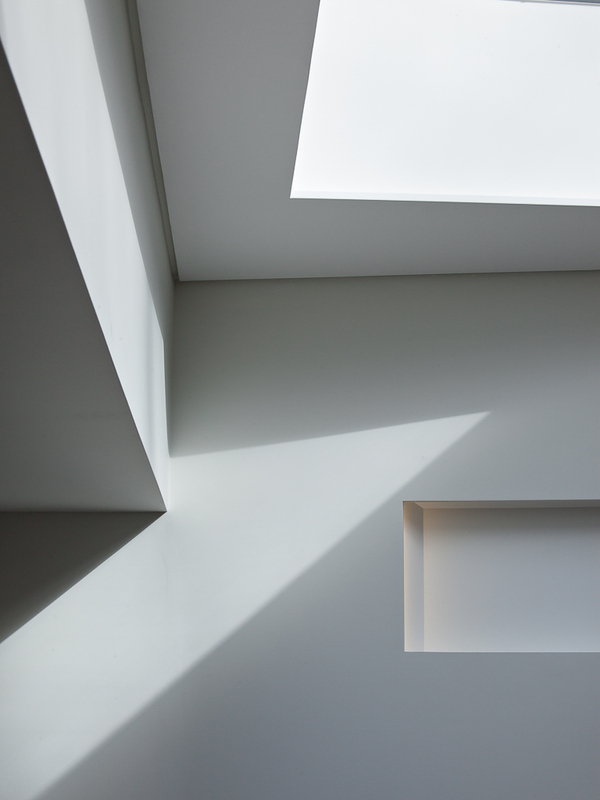 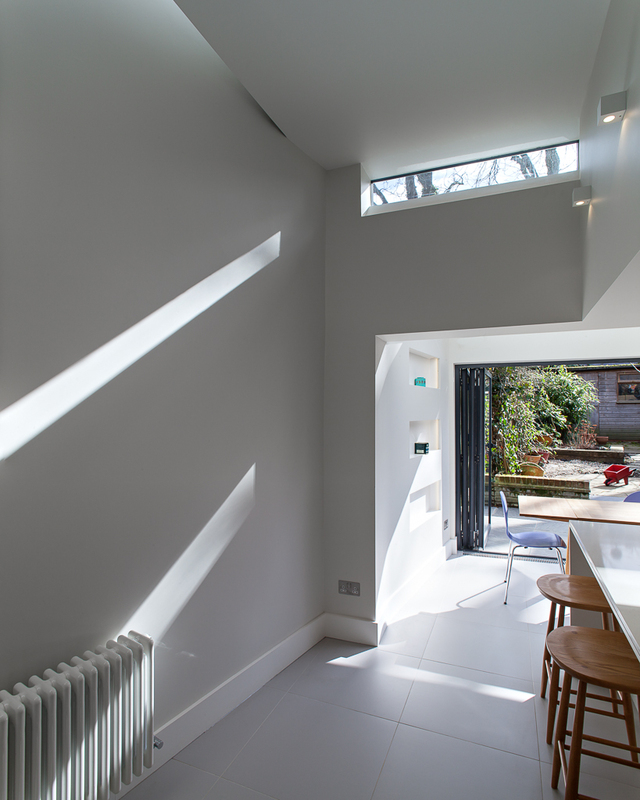 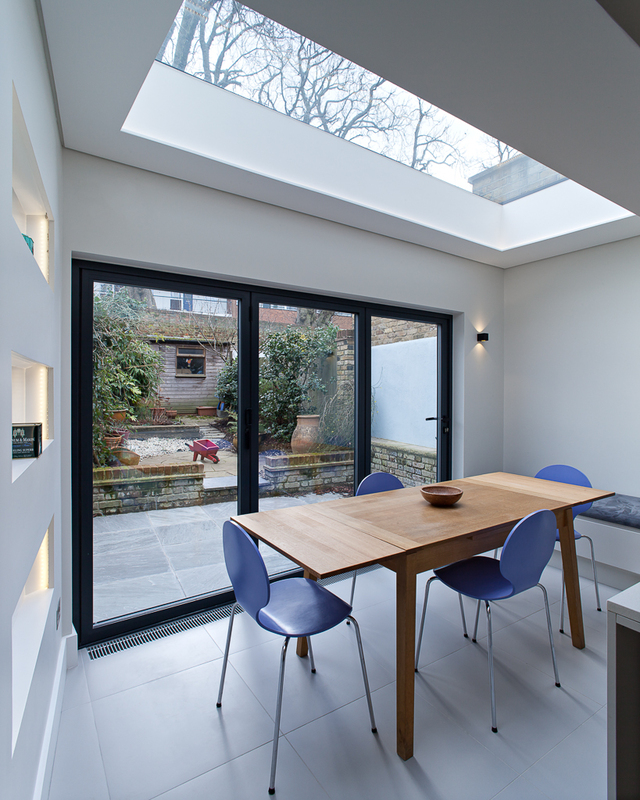 The pitched roof of the side extension was replaced to create a dramatic double height space; lit by a trapezoidal, triple-glazed, roof light. 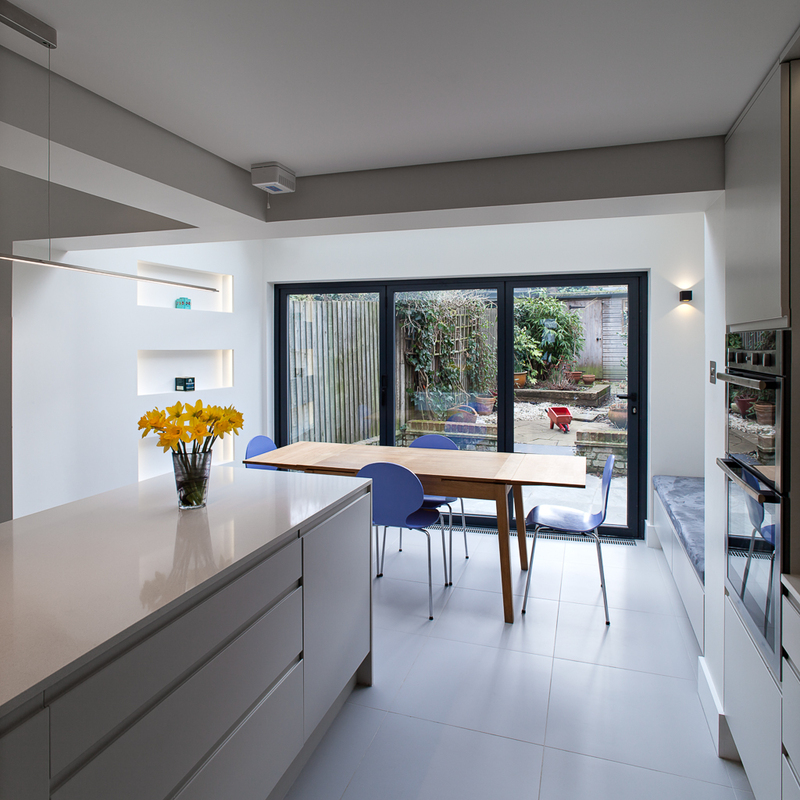 Extending the rear extension across the full width of the house allowed us to relocate the family dining area; creating a more direct relationship with the garden with triple-glazed fold and stack doors. 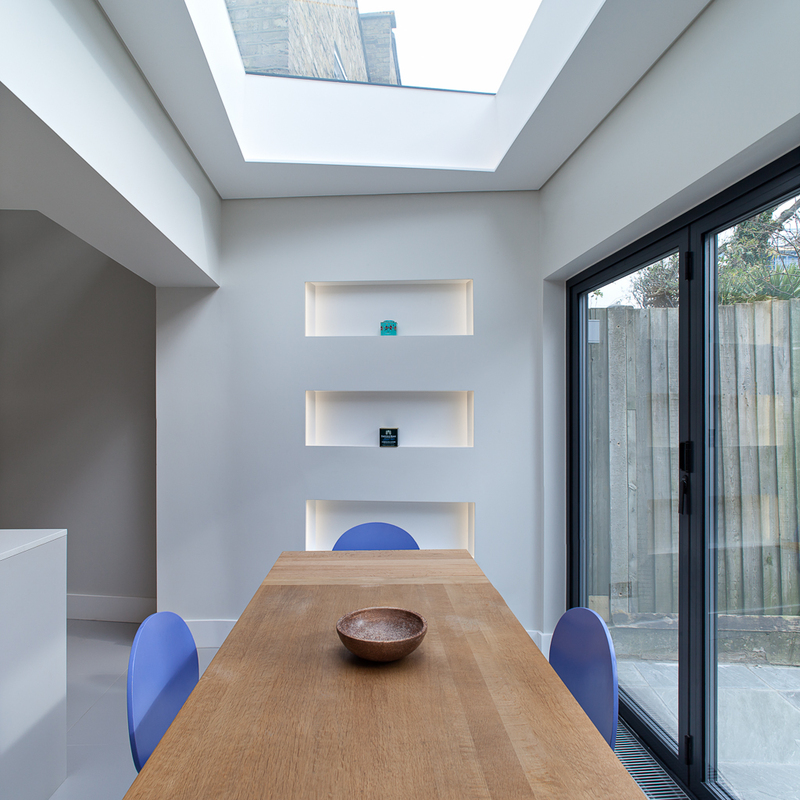 A second roof light over the dining table floods the space with natural light. 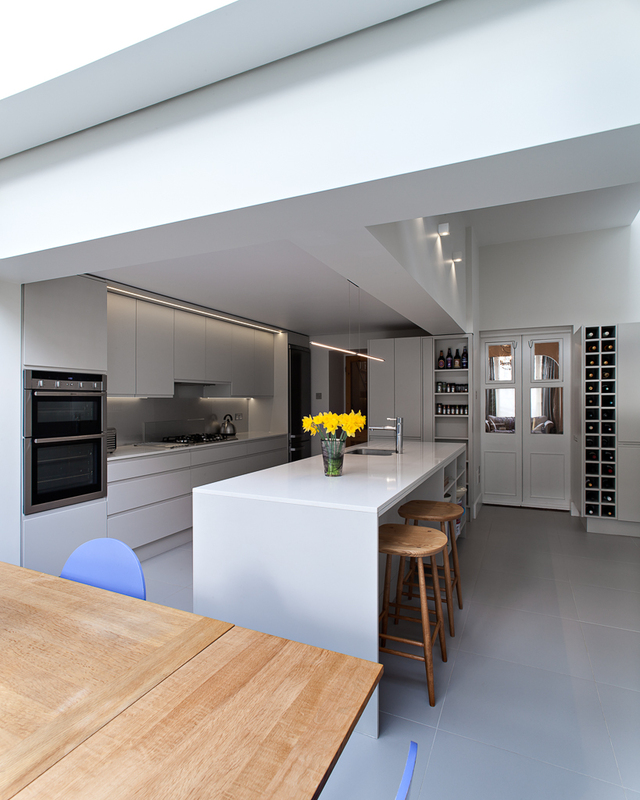 Bespoke kitchen and fitted furniture units were created by Dennis Tod Interiors incorporating informal counter seating at the central island unit and a padded sideboard seat beside the dining table. 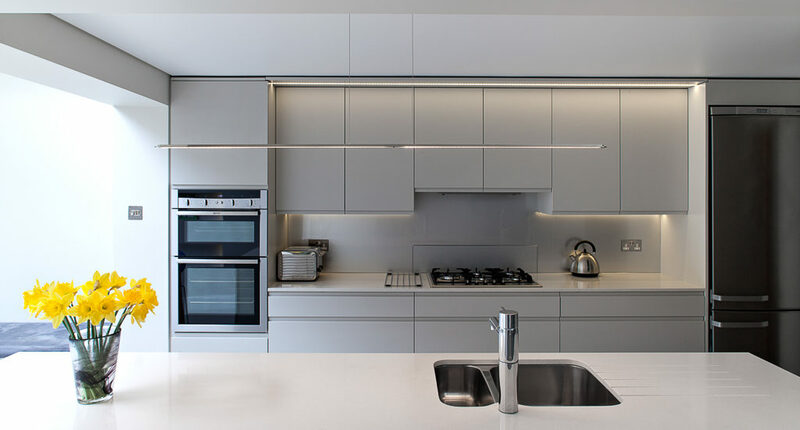 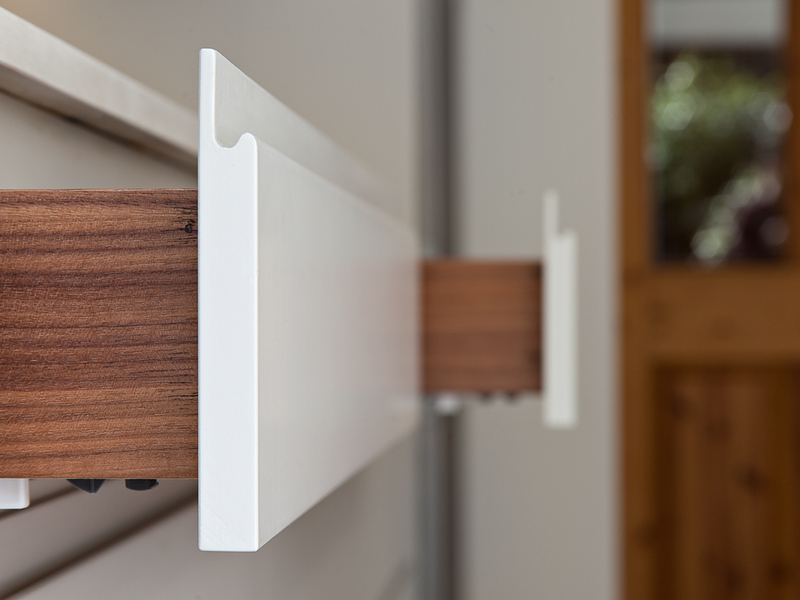 The low energy LED lighting from ECOLed includes concealed strip lighting around the roof lights and recessed display shelves.